On Facebook, there is an Italian page dedicated to IL VOLO, and it’s called IL VOLOCOMIO, it’s a combination of IL VOLO and mental hospital (from us MANICOMIO), this already makes you understand that the things that are published on this page, they are “out of your mind” and sometimes really hilarious. I asked them permission to publish some of their photos or post to you, because they often make you laugh! Here is their video that makes us smile !! THAT WHICH MAKES US SAY, THAT NO ONE LIKES IL VOLO, AND THEN IN EVERY TRANSMISSION, THEY ARE THE MOST FOLLOWED. These are the photos of our heart.
. . . the asteroid hit. And now, IL VOLO in HOT version. Poor Piero with those two behind that continue to laugh during the concert. But the girls of IL VOLOCOMIO, also know how to make beautiful videos like this. The girls of IL VOLOCOMIO, did you have a little smile? It’s been awhile since we’ve had one of these posts, and we always have such a good response, I thought it might be nice to do one today. For our new followers, this feature was born in the beginning of The Flight Crew. 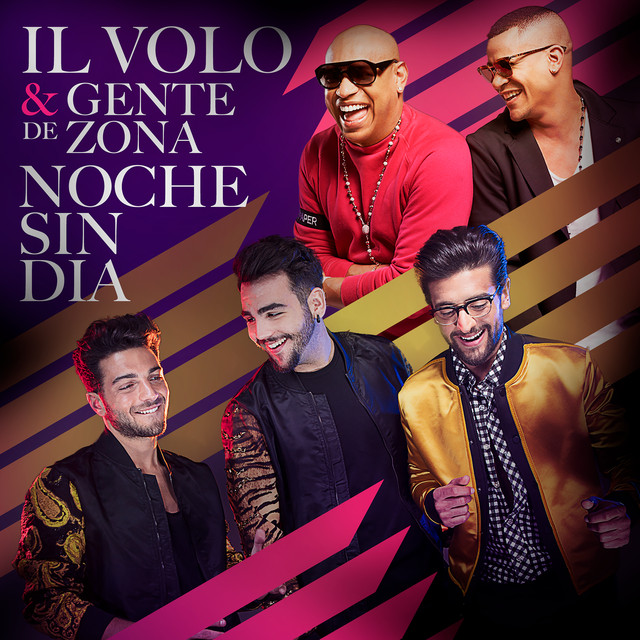 It’s inspiration is Il Volo’s cover of “Smile,” by Charlie Chaplin and is designed to be time that we use to encourage everyone to share what is making them smile in a world that seems to have far too little joy in it. All you have to do is finish the sentence, and your reason can but doesn’t have to be Il Volo related. …The Flight Crew has been saved! Thank you volunteers for giving your time, and for all of our followers for your support. …The Guys were in North America — even for a short time — and were simply marvelous. …We are anticipating their new album of unreleased music! Your “no-limit” credit card is suddenly your best friend and you try to figure out how many mileage points you need for a free, or at least discounted trip to Italy – even if they won’t be there! If given the Rorschach test, no matter what blob you see, you say either Piero, Gianluca, Ignazio, or all three! There are likely more symptoms than those indicated above, however those stated are ones observed most often in recent concert-goers during the first leg of their Notte Magica tour in the United States. Having awesome meet/greets, making you want to go back and have another and another! Some causes are unknown…as they may be personal to each individual, and have not yet been documented. There are no known cures for this, which is similar to Ilvoloitis. 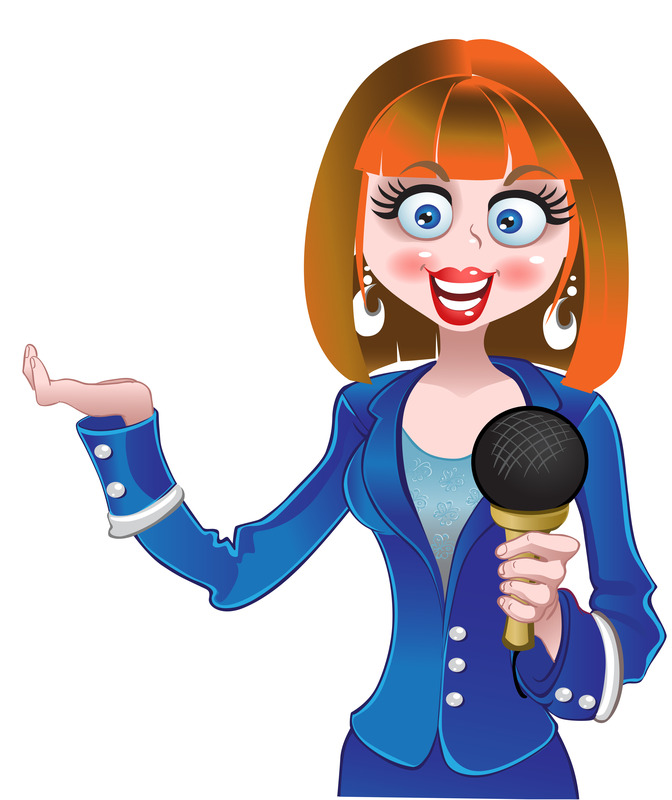 IVD is often a side-effect of Ilvoloitis, happening most often during their world tours. Ilvoloitis and IVD are especially dangerous for newbie Ilvolovers. Although Ilvoloitis and IVD are extremely contagious, no one really seems to want a real cure, however, there is the desire to learn to cope with the somewhat serious side-effects and symptoms of this condition. Let’s see if we can adapt some of their suggestions to IVD. This is also a good time to find more Ivolovers in your area. Plan a party with your current group. Get together to celebrate their birthdays – Piero’s is next on June 24. Check out the various FaceBook pages – there may be some fellow fans lurking closer than you think! If you can’t get together personally, plan a Skype party. I think you can have up to 24 or so people on one site. Find someone that has a big screen TV and hook up! One thing they suggest is volunteering. Why not do something in the “name of Il Volo?” Donate to your favorite charity. Spend time at a homeless shelter, soup kitchen, animal shelter, or spend time with those with special needs. All the while, you can share your love of the guys by sharing their music and introducing new fans. Remember, not all things contagious are bad? This is also a good time to get in touch with your local PBS station and start volunteering. You may get the inside news on the next time they are coming back to town! If you haven’t already, clear a space in your house – a bookshelf area is a great place and fill it with all things Il Volo. We know everyone has saved every ticket, meet/greet lanyard, CDs, DVDs, VIP gifts, pictures, etc. that we don’t know what to do with. This is your opportunity to put it on display for everyone to see. I plan to do this, but just haven’t gotten the chance yet. You could even make a few shadow boxes with little Il Volo souvenirs and memorabilia. Get to the craft store and use your coupons! You could also get together with some of your friends and share some pictures and make a scrapbook of all of your adventures and concerts together! Also, getting some exercise or listening to music – or doing both at the same time!! How often do we see Piero or Ignazio walking away on the tread mill with their ear buds in? Go outside and get some good ol’ “O Sole Mio!” See, just seeing the sunshine will remind you of the guys and their first signature song. Ok, that may seem too difficult, but there’s nothing wrong with looking at a few “nice” pictures to at least get our hearts racing? If not our feet! However, as above, a little walk in the sunshine is wonderful. Maybe put on one of their peppier tunes and walk to the beat of the music. I bet you won’t even realize how fast you are walking. Volare is a great one to walk to! Tip #4 – Eat a healthy, mood-boosting diet! Of course, eating healthier will make you feel better. Most Italian food is healthy for you if you limit your cheese and alcohol and eat pasta in properly portioned amounts. Unless you are Piero and can walk 10 miles on the treadmill, I don’t think I’d recommend a plate of pasta every day. But mix that pasta with extra virgin olive oil and garlic and that’s a great treat for your heart and maybe a little red wine on the side. Can’t forget a little gelato for dessert. Some gelato actually has less calories than ice cream. Here are some personal tips from me! This may be difficult, but think back to when you first discovered them. How did you feel? The smile that slowly, or quickly grew on your face. The feeling that you just had to tell everyone you knew about the greatest discovery you ever found on PBS. How many people did you call? The time you saw them and decided you just HAD to see them in concert, no matter what, where, or when? For me, it was when I saw them for the 2nd time on PBS, about late August in 2013, during their We Are Love tour. I specifically knew the time because their next show was at the Fox on Sept 5 and it was my mom’s birthday. But it was during their rendition of Beautiful Day and Ignazio’s solo part that just took me in and I was an immediate goner and luckily, I was able to see them the following June in 2014. When did you become an official Ilvololver? Meaning, you suddenly could just not get enough of them? For me, it was after seeing them at Freedom Hill that late spring of 2014. When I got home, I feverishly combed the Internet each evening, soaking up every song, every interview and every video I could find of them for the remainder of the summer. Grabbing at each and every tidbit of info I could find, until I finally stumbled upon the Flight Crew site! I knew I had found my solace here, when I started reading all of the stories and comments from the readers. I was no longer alone in my quest, but felt at home. Do you remember that feeling you got when you found out you were going to meet them for the first time? I remember the giddiness of a schoolgirl, when us Detroit gals were putting 2 + 2 together and coming up with 4, figuring out they were coming to PBS to promote their Pompeii album. After I found out I was also volunteering that same night, I just could not sit still. I remember walking around the block and literally skipping along thinking, “I’m going to meet them, I’m going to meet them! OMG, what am I going to say, wear, etc. ?” I knew others had met them before, but like many things, the first time is always the most special. Do you remember the first time you had front row seats? I felt guilty, but I turned in my PBS tickets for the last two front row seats at the Fox. I got front row, I got front row, I screamed to myself. It was at the end of the day at work and I could not sit still – good thing it was almost time to go home. I could not wait to tell someone who cared and my dear friend Ginny who was the lucky recipient of the other ticket! Do you remember that often dazed feeling you got after meeting them at a meet/greet after a concert? You are barely coherent and hardly remember anything because you are still in a hypnotic state after hearing their incredible voices. And last, but not least, the feeling you had and will never forget, of seeing them perform not, once, but twice in their homeland of Italy. Under the beautiful evening air, the feeling was magical both times. Think of all of the new friends you have made in the last several years – all over the world. 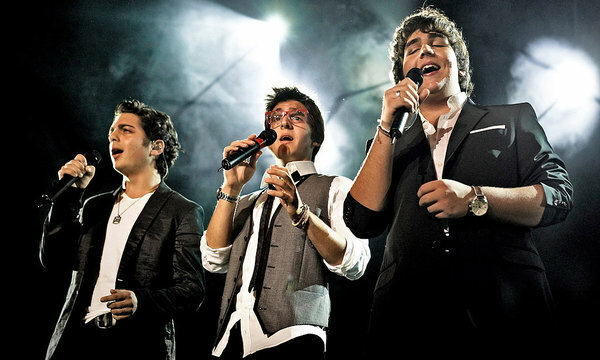 Think of all of the new places you have seen and never would have seen, had it not been for Il Volo. Think of some of your talents that may have been hidden, that have blossomed forth all because of them. Think of all of the new techie things you have learned on the computer and your phone. Think of all things Italian you now care about, if you didn’t already. 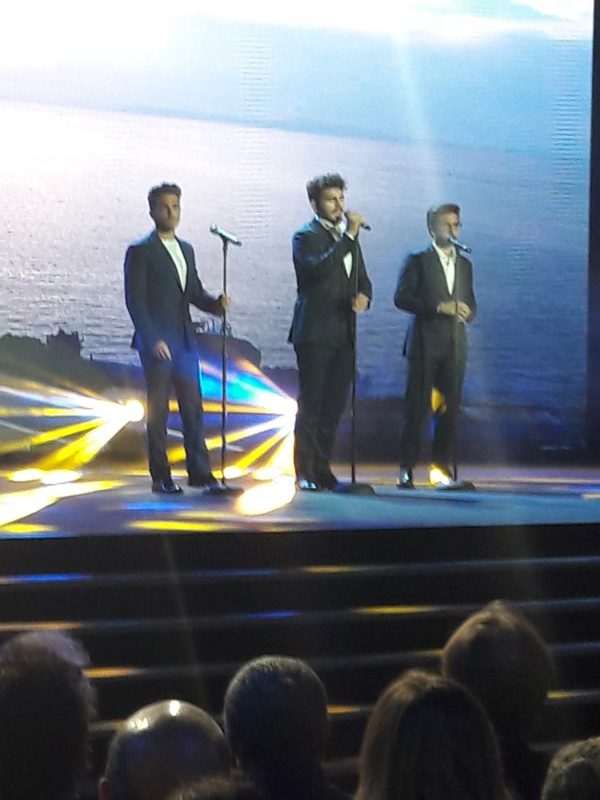 Think of all the love, joy, and passion you have given and received – all in the name of Il Volo. When we think of that, how could we possibly be depressed? How many of us have healed ourselves through their music and bonding with each other over this love of these 3 men? They have touched our lives in ways we never thought possible, nor existed. They have touched our lives in ways they will never know, no matter how much we tell them. Men and women; young and old, from all over the world. Even though there is no known cure, I hope that coming to the “Flight Crew – Share the Love” site each and every morning fills at least a small part of this void in your life. Just reading the comments everyone makes, even while I’m at work, will put a smile on my face. Our fearless Editor-in-Chief, Marie, along with Kelly, Leelee, Mary, Jane, Daniela, Dani, and all of the other contributors from around the globe take time out of their busy days to keep us all informed the best they can of where the guys are. I think we need a new category – “where in the world are the guys now?” I know I feel better now, having written this. Just remembering all of those things, makes you happy. Although they are as fleeting as a beautiful sunrise or sunset, the memory of them remains in your heart and soul, just as their voices lift us to incredible highs, so we can deal with some of the worst lows. It is such a joy and honor to know all of you! I feel truly blessed to have you and Il Volo in my life! So, we want to hear from you! What tips do you have to get you through the day without the guys? For those new to this site, tell us your story! Do you have a favorite CD or concert you watch? If you like sushi, does it remind you of the guys when you eat it? When I first saw Il Volo in concert, one of the highlights was their rendition of “Smile.” They brought something to that song that had never been done before. The harmony, the expression, the quality….all perfection. I bought the CD at the venue, and I remember listening to “Smile” in the car on the way home, and being enchanted again at what I was hearing–completely enthralled by their voices. Barbra Streisand must have felt it, too, because she chose that song to share with them on her tour. What a show stopper that was! And when Ignazio hit the high note at the end–wow–It even made her stagger back a bit. Her “show off” remark was perfect. And did you see the look on his face??? Priceless! The fact is that all of these young men have million dollar smiles.…all gorgeous and all unique. Each time I see one I think, “that one is the best” until I see the next one. 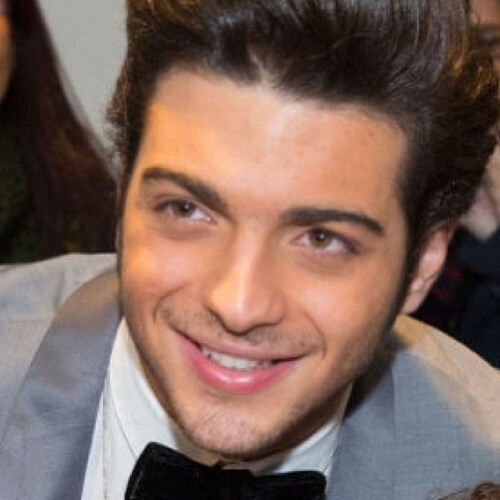 Gianluca’s smile could be an ad for a toothpaste brand. It is so enchantingly beautiful, teamed with his smiling eyes it takes your breath away. 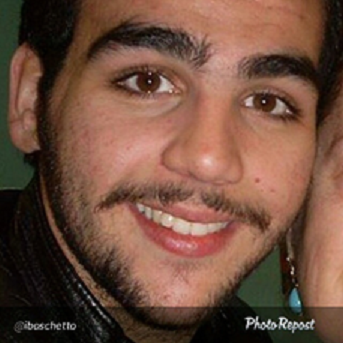 Something wonderful happens to Ignazio’s face when he smiles. It’s like a light was turned on–it just glows, and his face shines with so much joy, you just can’t help but smile along with him. Piero’s smile is touchingly sweet. It tugs at my heart strings and makes me say “awww,” followed by a big sigh. He is a handsome man and his handsome smile just completes it. It’s always a treat when they are having fun and their smiles give way to great guffaws of laughter. They love to laugh. They enjoy just being together and having fun with life. And we can’t help but smile when they smile and laugh when they laugh, because they are who they are, and they convey their warmth and joy to all who have the Il Volo experience. Smiling–it’s such an easy thing to do and so contagious. Their music has brought smiles to our faces when we were feeling down, or facing a medical diagnosis, or experiencing a loss….whatever our need, the music of Il Volo has had a healing effect for so many. We have seen this in the comments made by grateful fans. People often wonder if the guys know just how much of an effect they have on all of us. They see the adoration on the faces of the fans wherever they go, but I hope they know that to so many of us they are much more than just handsome faces with beautiful voices. Because we see in them something above the norm that lifts us up and puts smiles on our faces and joy in our hearts. How appropriate it was that someone somewhere in the group of people guiding their careers chose “Smile” as one of the first songs in their repertoire. It’s a perfect song to convey what they mean to us. In our hearts and minds they are always smiling and making us smile, too. It’s smiles all around for the guys after yesterday’s successful concert (if the Twitter feeds are at all accurate, that is a gross understatement) at Radio City Music Hall! It was amazing seeing that dream come true for them, wasn’t it? IN CASE YOU MISSED IT……..
By all accounts, pictures and videos; the concert, last night in Westbury was a resounding success and according to Gianluca, was a sell out!! There are some amazing videos on Mundial, apparently the use of cameras was being allowed at this venue. 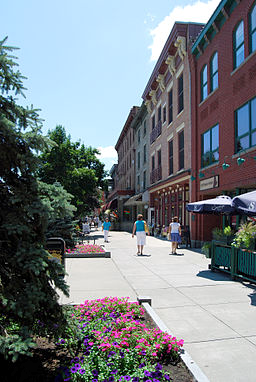 “The Boys” are now in Saratoga Springs, New York. They must be getting a well deserved break in this beautiful upstate New York Town. Enjoy Guys!! (The photo above is of Saratoga). Enjoy your time off, Guys, rest your voices! !